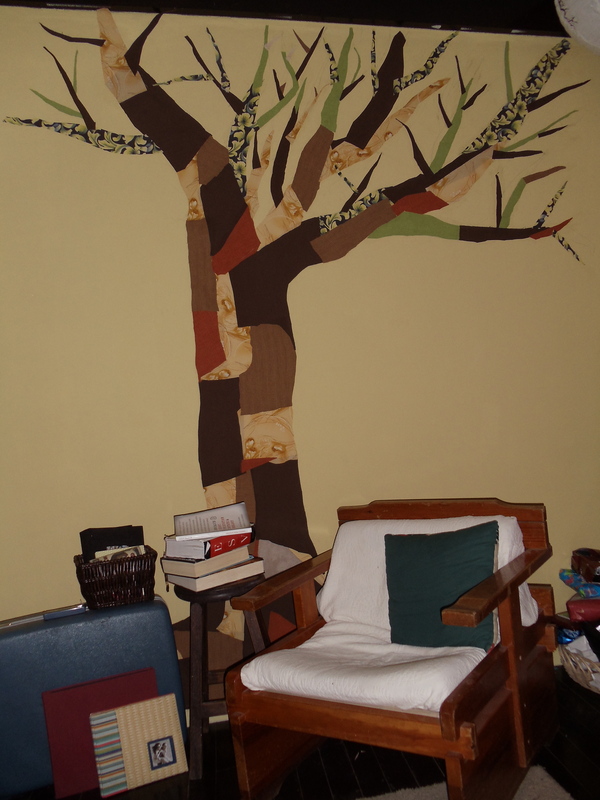 I’m sitting here, under my tree, with books stacked high to my right and my heart full to overflowing with thanksgiving. 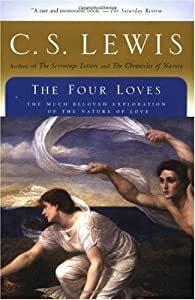 I just spent way too much time looking at old blog posts trying to find some musings from the book, “The Four Loves” by C.S. Lewis, but I came up empty-handed. I’ll have to rely on my memory to relate the bliss I’m feeling and how I think Lewis explains it best. It is only fitting, I might add, that I’m comfortable under my tree, where roots are stretching out underneath, reminding me where I find life. Many of you are probably well aware of Lewis’s famous book on the four different types of love, but I want to just skim the surface of what has me flying so high tonight: friendship. Lewis suggests (apologies for my crude summary) that friendship draws out God-designed parts of us that we never knew we were hiding. In community, we are able to watch God reveal Himself in us because of the way we are made to live in community together. Today is a repeat of so many other times in my life where I realize there is joy bubbling up in my soul that is set free when I place myself in community. It’s like a pen full of words that finds paper or a box full of seeds that finds ground. Community is a place God has specifically designed to reflect Him and point to His glory. I love how C.S. Lewis says that God ordains our friendships. There are certain people ordained for certain times in our lives for a very certain purpose – to draw out ways in which we never knew we were capable of giving God glory. I can’t tell you all the ways this makes sense for today, but I can tell you that this day (beginning, middle, and end) made me ready to burst with the joy and inspiration of community. God’s design is so very good! Here is one of the reasons for my joy… one of my students Alejandra! She has a wonderful way of drawing out something strange and silly and spectacular… and I always walk away blessed! This entry was posted in anecdotes, creativity, Recommendations, this is me. Tagged Book, C.S. Lewis, Christ, Christianity, Evangelism, Four Loves, God, Religion and Spirituality. Caroline ~ I love the Word of God and I also love being around people who love the Word of God! I do believe the LORD ordains our friendships…they are gifts from HIM and I also believe “man’s rejection is God’s protection” much of the time!! Community is one of the many ways we are blessed and loved by HIM! Praise the Lord for all the ways He orchestrates blessings in our lives… All community is a reflection of Him and for that it is so beautiful! Even when we feel less inspired and encouraged, God’s design is still good because He is still good!